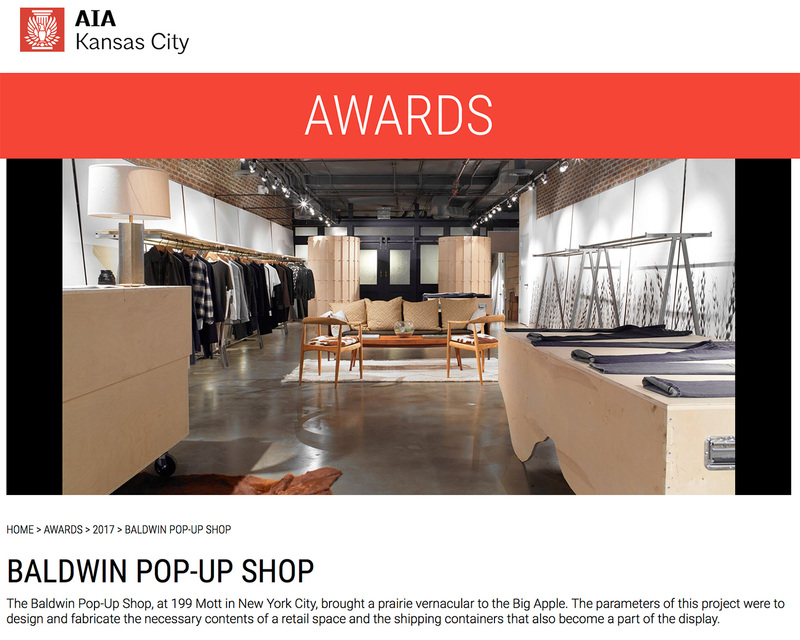 We are honored that our Baldwin Pop-Up Shop Project took home a Divine Detail Award at this years AIA KC Design Excellence Awards. For this project, it truly was all about the details. Thank you to the Jurors, Bruce Anderson, Anne Schopf, and David Miller, and to the AIA KC!